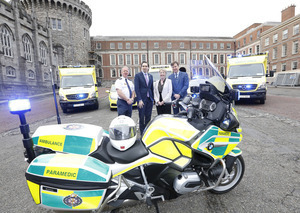 Martin Dunne, Director of the HSE National Ambulance Service and Minister for Health Simon Harris (middle pic) review some of the 91 vehicles the National Ambulance Service has introduced into its services during 2017. 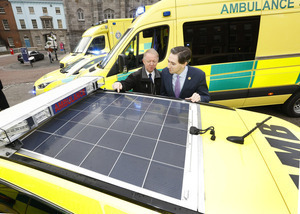 They include a range of energy efficient emergency care vehicles, including solar panelled ambulances. Also: name that bike, anyone? 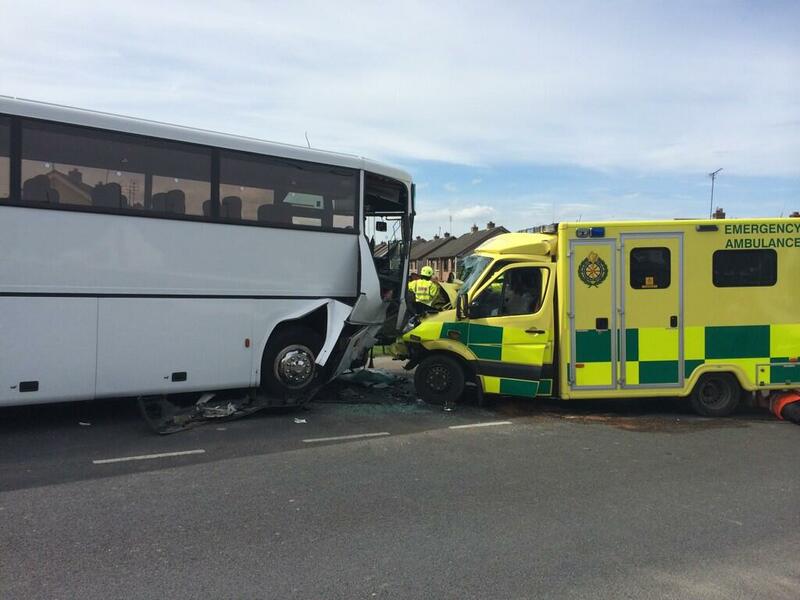 Posted in Misc and tagged ambulance at 4:06 pm on November 17, 2017 by Bodger. I’m going to go ahead and say she’s (the bike) a Honda, possibly a BMW. I don’t know anything about bikes, which in itself makes me qualified to make a comment. 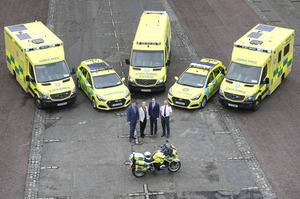 nice photo op – pity it won’t help.. 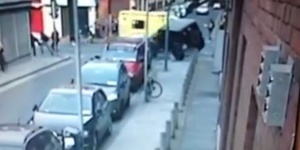 The bike has a BMW badge on the side of it …………. 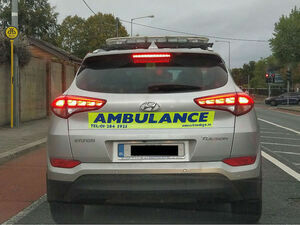 I kinda spotted the badge, but thought I’d go ahead and mention Honda, although BMW was clearly in the mix. This is bigger than Musk’s truck release last night.